It used to be a question of laying wooden planks straight on top of the timber support beams/joists. With modern methods, this is no longer the case. In most cases a new sub floor such as ply or screed will be used. A new sub-floor does not necessary mean one that is level! If adjustments need to made to the level, this can be achieved using a self-leveling compound or a new layer of plywood. This is applied on top of the support floor i.e. the cement or existing floorboards. Ensuring the sub-floor is geometrically level is half the job when it comes to floor installation. 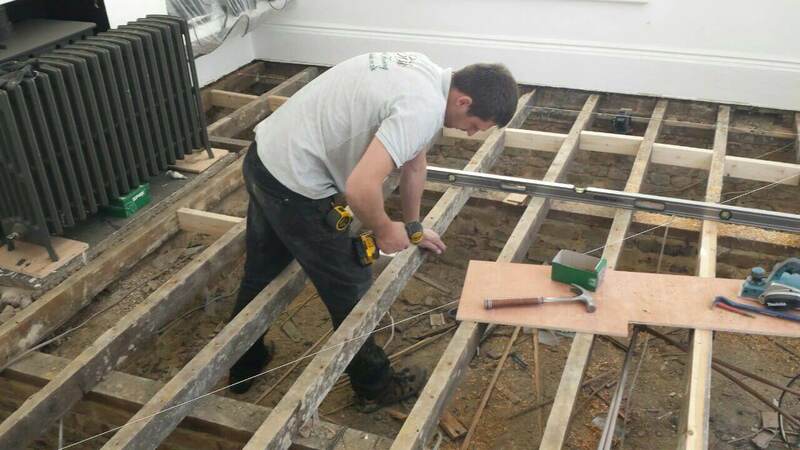 This is Particularly crucial when installing Parquet flooring, where a near perfect sub floor level is required. Both “glued” or “floating” method of installation requires a level sub-floor to guarantee the floor stable and solid. The method of installing parquet is in individual block pieces, these are glued in formation directly to the sub floor. We recommend for parquet flooring, that the floor is level to within a tolerance of +/- 2 mm level per 3 linear metres in all directions. This is required for the floor to be sitting flush and level. Plank flooring, is a little bit more flexible and sub-floors must be within +/- 3 mm per 2 linear metres. With the advent of underfloor heating systems, which are more common place in modern projects. Many sub-floors are screeded, which then the floor can be glued directly to. New Sub-floors or “intermediate floors” such as screed or ply, should be properly flattened and leveled during construction. Many houses with existing floorboards still in place can have areas which are sloping or have dips and humps. 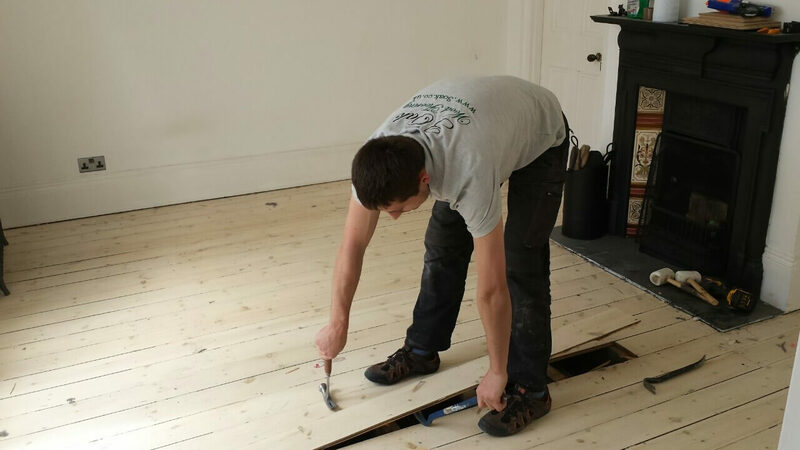 Floorboards that need leveling can be removed and the joists planed underneath to even out and correct the floor height as necessary. Optional Insulation layer - i.e. Sound reduction underlay, damp proof membrane or Underfloor heating. Screed up to the job? Screeds should flat, level and without cracks. Excessive cracking is signs that the cement may not structurally sound. As a rule, moisture content is always measured prior to installation. Readings should be less than 3%. Once laid the rate at which the screed dries out generally depends on whether fans, heating or underfloor heating is used. External factors such as the weather and humidity also play a role. Leveling, As a rule, isn’t always necessary as a well-made sub-floor should be enough. If the screed is not fit for purpose, then a self-leveling compound can also be used to correct some patches that are uneven. Generally, many different factors are taken into consideration when correcting a sub-floor. The main factors that affect choice of method, are the type of flooring being glued i.e parquet or Planks, how long is the drying time and the relative cost of the materials used.